Capcom posted a lengthy interview today with Kazuhiro Tsuchiya, the producer of Mega Man 11. Tsuchiya had much to say about how the series returned after such a long hiatus, the development team, the visual style, and more. Read up on the full interview with Tsuchiya below. To start out, please tell me about your first encounter with Mega Man. When I joined the company in 1992, Mega Man was very much a flagship franchise for the company. Of course I had heard of the games before joining, and even played some of them. I came on as a programmer, and at that time we had something of an apprenticeship system in effect and the person assigned to be my mentor was in charge of the Mega Man games. I studied programming while reading through the source code for the action components written by my mentor for those games—I suppose that was when I first encountered Mega Man as a developer. What sort of path led you from there to becoming a producer? I worked on the development team for Mega Man 7, then on some later titles as a director before ultimately becoming a producer. I worked on Mega Man 1 and 2 in the Mega Man Legacy Collection in this capacity. 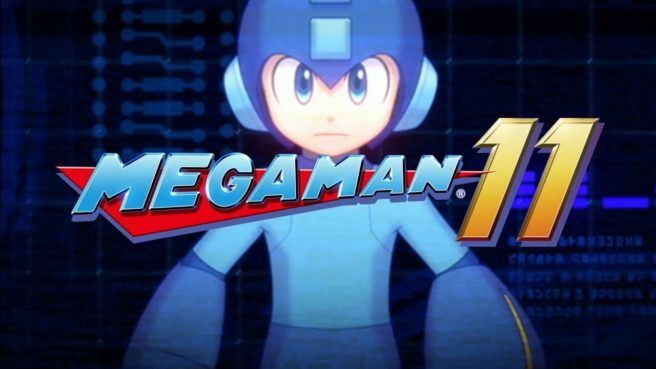 Mega Man 11 is the first all-new title for the series in about 8 years. What exactly led to its development? In the spring of 2016, the director, Koji Oda, said that he wanted to work on a new Mega Man game once the title he was managing at the time was completed. What did Mr. Oda have in mind at that time? Actually, Mr. Oda had not worked directly on a Mega Man title’s development before then. However, he had worked on titles like Super Ghouls’n Ghosts, Strider (2014), and Resident Evil 0, so he had a rich history of working on action games and had proven himself as a capable developer, even without taking on something new like Mega Man. But one day he spoke fervently, saying, “so many people are hoping for a new Mega Man game. As a game company, we really ought to meet their desires.” Being a creator, he had a tendency to push for the projects he wanted to work on, but the way that he phrased it as though it were the company’s duty gave the impression that it was more than a mere whim. Of course, he had certainly spotted an opportunity in the market as well. Did you start on development right away after that? There was actually a brief gap between then and when development actually began. In fact, I began to perform market research about a new Mega Man title, carrying out that work in parallel to the work on my then-current project. What sort of market research did you do? I performed detailed research to find out what Mega Man fans were thinking, as well as what people who weren’t fans but had heard of the series were thinking. The research showed us that the thing people wanted most was a new, full-fledged entry in the original Mega Man series, made with series fans in mind. 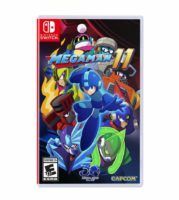 This culminated in the development of Mega Man 11.